Countries Serviced by Maccaferri U.S.A.
Maccaferri Inc. is very pleased to have been notified by the Maryland State Highways Administration has approved our MacRes® System for use in the state of Maryland. Maryland joins a growing list of states that have approved MacRes®. Virginia and Delaware previously approved our MSE wall system and Arizona approval is still pending. Our MacRes® system has been developed to create vertical concrete faced soil reinforcement structures. It is used extensively in infrastructure, mine works and anywhere that requires a vertical faced structure capable of resisting high loads. The system consists of a combination of geostrip soil reinforcement connected to large concrete facing panels. The ParaWeb® polymer geostrip linear reinforcement is placed between compacted layers of structural backfill, and is intimately connected to the pre-cast concrete fascia panels. The fascia panels are erected in progressive layers as the height of the reinforced compacted backfill rises behind. 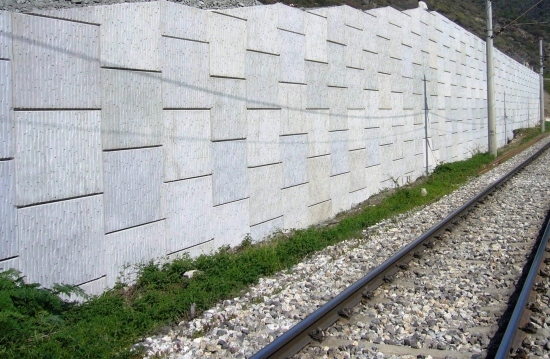 The concrete panels are designed and detailed according to the requirements of the project; especially important in demanding applications such as crusher and tip walls in mines. The panels can also be supplied with specific face finishes depending on the aesthetic demands of the client.